Just when you thought every possible iPhone case has been invented, someone goes and does this. 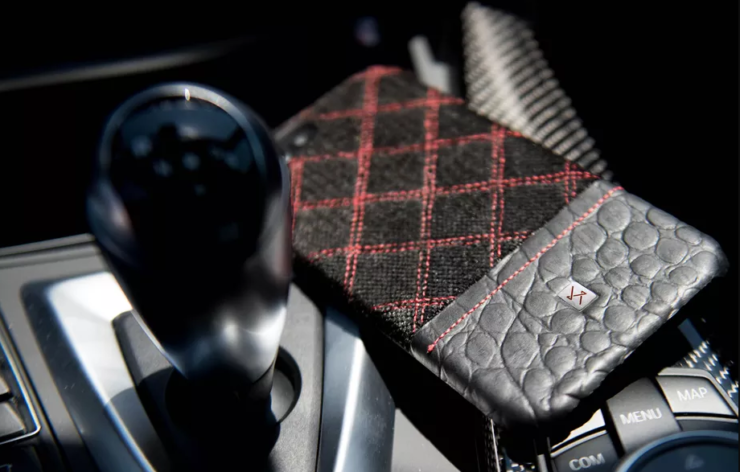 Startup company, Stitched Products, has just announced their first product that they plan to fund through Indiegogo, an iPhone case than can be used to pick up stray hair and lint. Just when you thought you’d seen it all. The company claims that the odd fabric attracts lint and hair, and even shows the case being used to clean off a linty black shirt in their pitch video. They even claim that it’s easy to clean the case itself and it doesn’t leave any residue like a traditional sticky lint roller. This is such a weird product, but I kind of want it to be real. I find myself getting covered in lint all the time and it’s a real problem, I can’t count how many times I’ve been on a date and a girl crawls her way to safety through the bathroom window. I assume it’s because of my linty shirt, because it couldn’t possibly be my personality. Anyway, they’re about halfway to their goal on Indiegogo, and early-bird cases go for $25 (which there are still plenty of). By Hazel Chua on 09/19/13 • Leave a comment! Things can get pretty messy with your earphone cord if you don’t have one of those holders or wire clips to keep them in place while you’re using them. The clips do a decent job of keeping the wires neat, but then there’s the hassle of where to put them when you want to use the entire length of your earphones. I’ve lost my fair share of these clips because they’re often so tiny that you don’t really notice when they slip out of your pocket or purse. 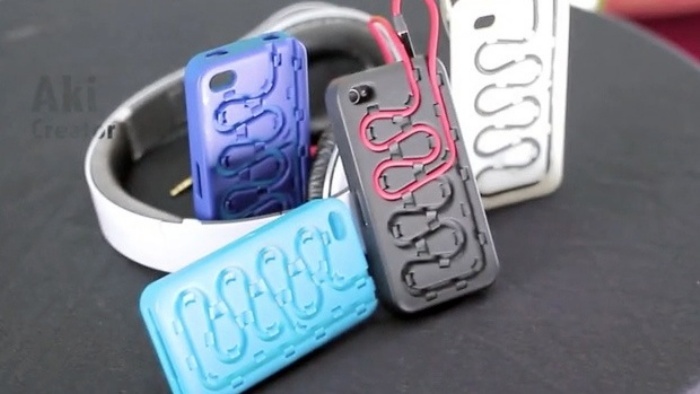 An alternative is the Cordli iPhone case. It has snakelike grooves on the back where you’re supposed to push the wire into. It promises to get rid of the “cord bulge” and allows you to adjust the cord to a length that you’re comfortable with by holding the excess in its grooves. By Hazel Chua on 09/12/13 • Leave a comment! By Hazel Chua on 08/29/13 • Leave a comment! This isn’t the first time that teeth and dentures took center stage in accessories. We first heard of ConcaveOblivion when they came up with denture-themed fashion accessories, like bangles and combs. They’re back once with more accessories that bite, this time for your phone. By Hazel Chua on 06/24/13 • Leave a comment! Carbon monoxide kills. You won’t know you’re being exposed to it though, because the gas is odorless, tasteless, and colorless, unless you have a detector that will alert you to its presence. 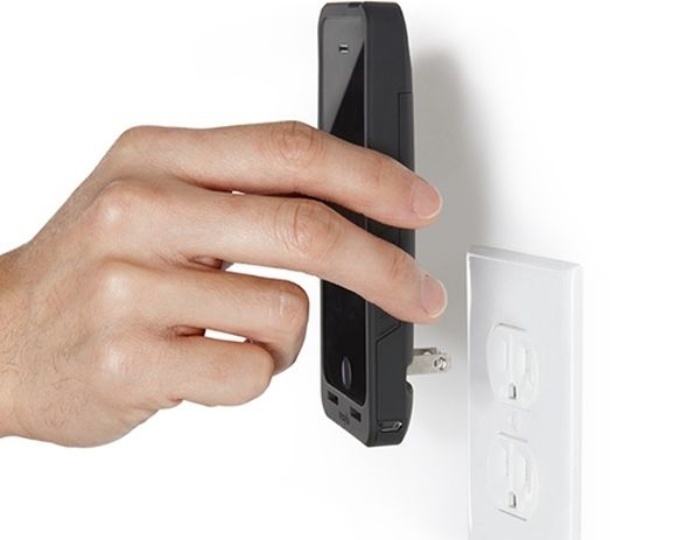 It could happen at home, at your office, and even in your car, but most people don’t have detectors installed in all of these places. 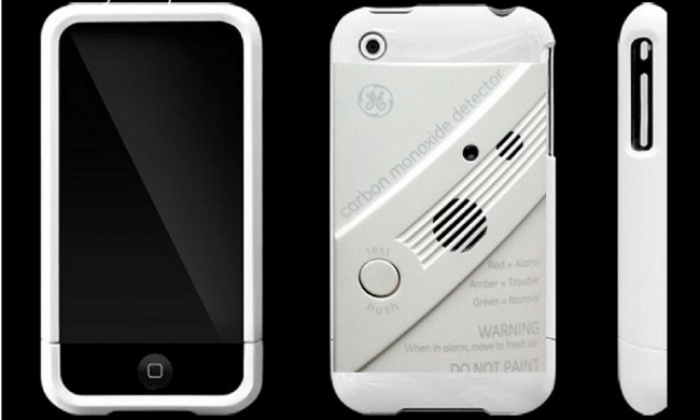 Taking this into consideration and the fact that most people don’t go anywhere without their smartphones, David Tyers designed the iPhone Case with a built-in carbon monoxide detector. By Hazel Chua on 05/27/13 • Leave a comment! Love the feeling of young grass on your feet? How would you like to experience the same sensation on your hands whenever you reach for your phone? That’s what you can expect when you get the Shibaful case for your iPhone. 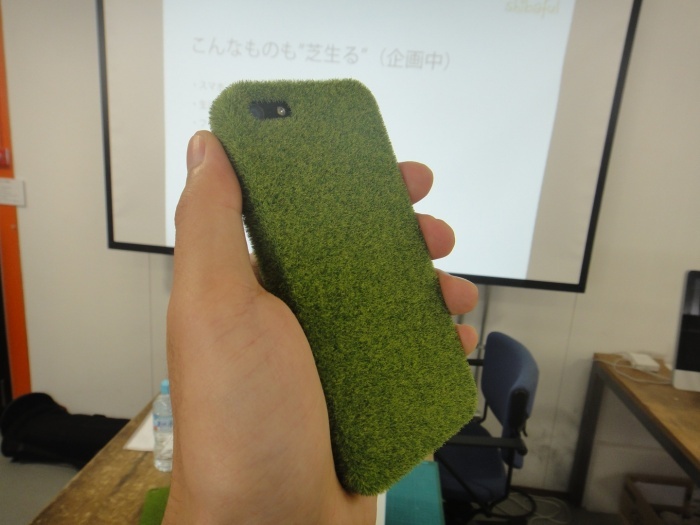 It’s a lush case that’s modeled after the grass at the Yoyogi Park in Tokyo. The Shibaful might look like a novelty item, but it’s actually a functional piece of art of sorts. It’s made using electrostatic flocking, where five differently-colored fiber particles are dropped from above. This causes the formation of the distinct grassy texture of the Shibaful. By Hazel Chua on 01/03/13 • Leave a comment! Ever wanted to appear like you aren’t on the phone even when you actually really are? Well, at least at first glance, anyway? 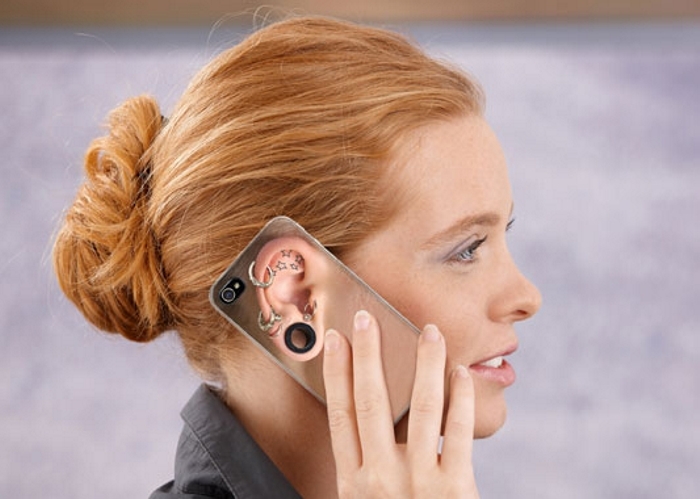 Then you’ll probably want to check out these All Ears iPhone cases by Fred and Friends that are literally all ears. 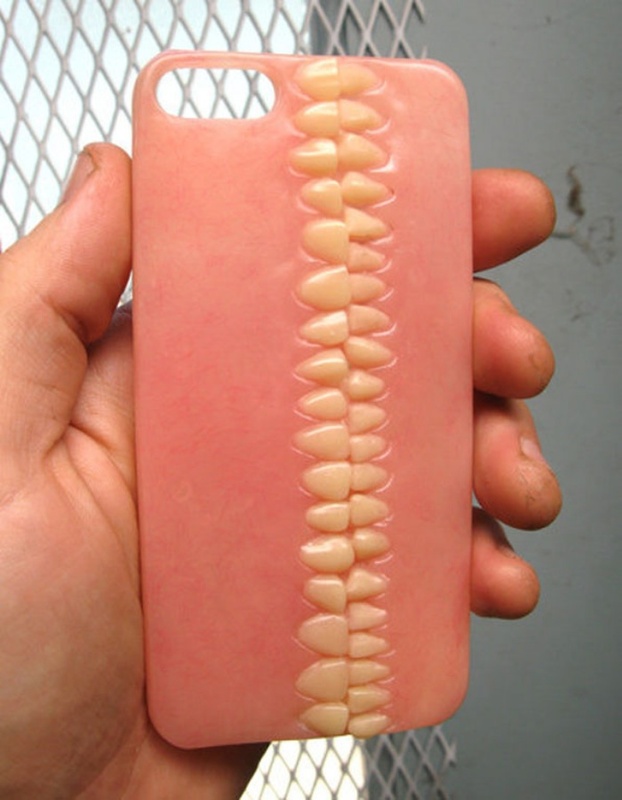 This isn’t the first time that someone decided to make a phone case featuring the body part where they’re likely to be used on, but these are probably some of the quirkiest ones I’ve ever seen. These will also give you more bang for your buck because you’re sort of getting six different cases in one. The All Ears case comes in two versions: the guy version and the girl version. Each comes with a hard-plastic clear case and six different ear inserts that range from tame ears to wild and crazy-looking ones. I’ve seen my fair share of silly, weird, and kooky iPhone cases. 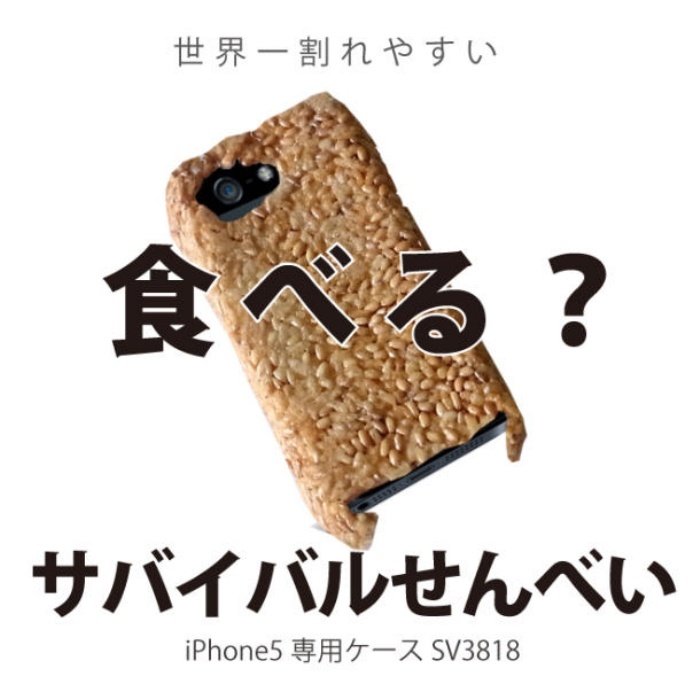 And while the edible Survival Senbei iPhone 5 case doesn’t look too different from other food-themed cases in the market, it’s certainly going to feel and taste different because it’s probably the only case out there that you can actually eat. This case seems more of a novelty to me, because it doesn’t function very well as an actual case for your iPhone. In fact, the maker of these cases says that there’s a 9% chance that it’ll arrive broken and a 100% chance that it’ll shatter upon impact if you happen to drop your phone. It’s priced at 3,818 Yen (about $48), which is pretty pricey for a non-case like the Survival Senbei.